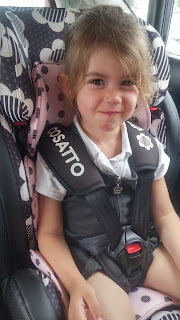 A little while ago we reviewed the Cosatto Hug which was installed via a 3 point harness. 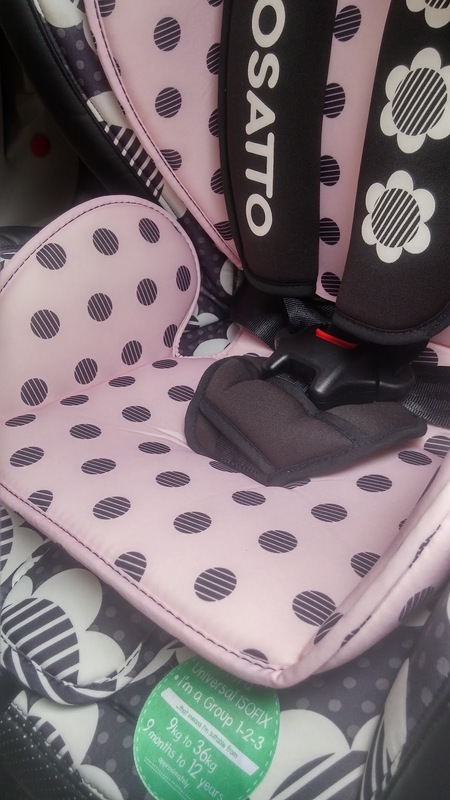 Cosatto recently launched the Hug with isofix installation and I was keen to see how they would compare. 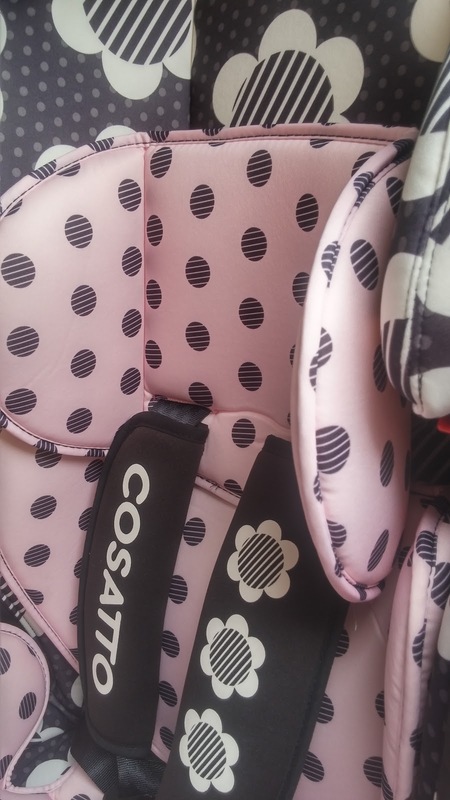 Both Cosatto Hug have great side protection and a deep padded seat. As with all Cosatto products the Hug comes with a 4 year guarantee and a gorgeous pattern. 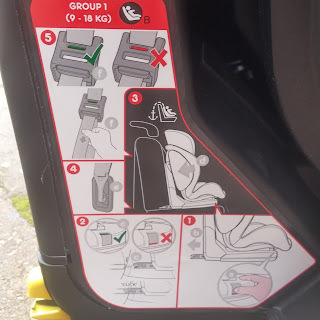 Location in car Group 1,2,3 needs Isofix. 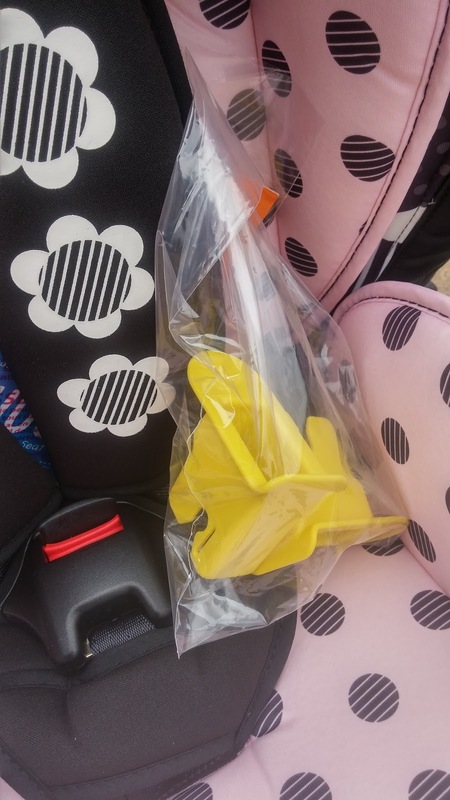 Height-adjustable headrest and belt guide in group 2-3 position with easy single-handed adjustment allows the seat to grow with your child whilst keeping the adult seat belt in the correct position over your child’s shoulder additional 4 positions. The Cosatto Hug was quick and simple to install when following the instructions for first installation. Instructions are clearly printed on the side of the Hug for quick reference. 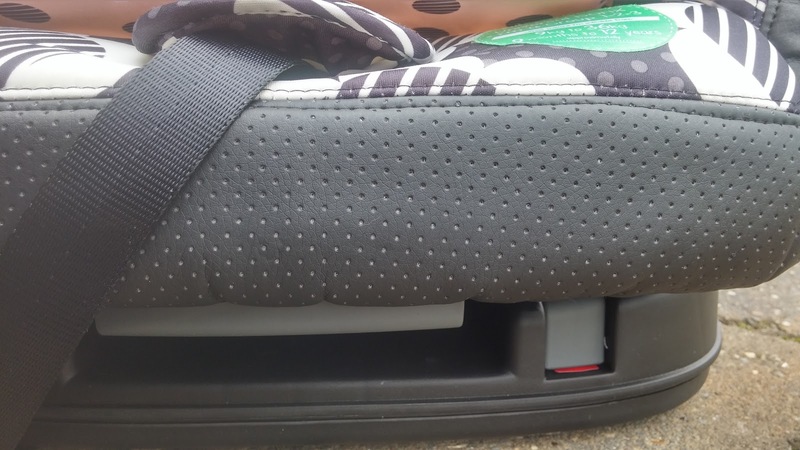 A great feature on the Cosatto Hug is the ability to control each isofix bar independently. Each bar has its own button to press to release and therefore if one has attached and not the other, which is often the case, you can simply re release the unattached bar to get a secure fit. The buttons are located on the front of the seat. To help with installation the Cosatto Hug also comes with isofix guides. These do aid installation and the yellow colour helps to make them visible in the car during install. 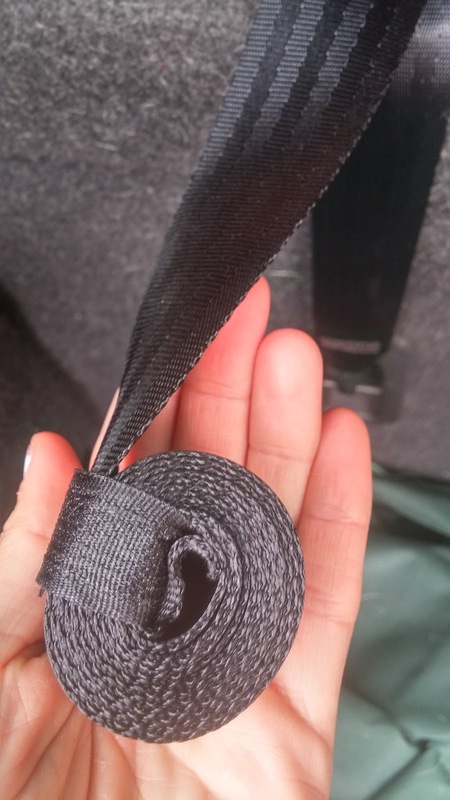 An additional safety feature the isofix installation has over the belted installation is the top tether. The top tether adds an extra layer of security to the seat, particularly if the car was to roll. Another clever feature of the Hug, which I have not seen on other car seats, is the roll of excess strap. With most top tether there is a lot of strap left over which often gets thrown around the car. As this is rolled and stays rolled it is much easier to store the excess. 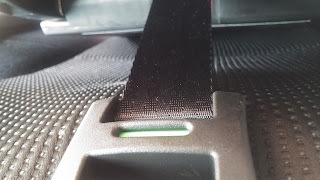 The top tether also did not seem to take too much tension in order to be of correct tightness, I have had other seats in comparison that have left dent marks in the seat. 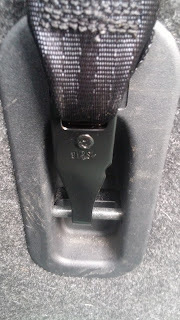 Installation was quick and simple to do and gave a much more secure fit in the car than the belted installation seat. 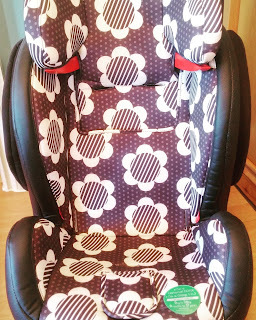 Both the belted and the isofix seat features good deep padding on both the head rest and on the sides. With gorgeous patterns. My youngest was very pleased with her new seat, however she currently weighs 16.5kg and is tall for her age [she is taller than her older sister]. I did notice that the harness did not appear to fit her correctly, it looked as if it was coming from below her shoulders. The head rest would not increase any further in order to give me the extra height needed. The harness and head rest move together to ensure correct positioning. I could have done with just one extra notch for the head rest to get the harness level with her shoulders. It is just about level in the photo but I don't think it would be much longer before it is below her shoulders. This would mean she would need to be in a Group 2 seat a little earlier than I would like in order to ensure correct fit in the car. Upon conversion to Group 2,3 you do get extra head rest height. To convert involves removing the harness and seat pads. The tricky part was removing the buckle, as I found it tricky to get the clip out of the socket. However the rest of the seat was easy to remove. The Cosatto Hug isofix offers as much luxury as the belted installation. Overall though I would choose the Cosatto Hug isofix over the belted installation as I feel the seat is secured better in the car and is a much better fit. We have been sent a Cosatto Hug car seat to review. All words ad opinions are my own.